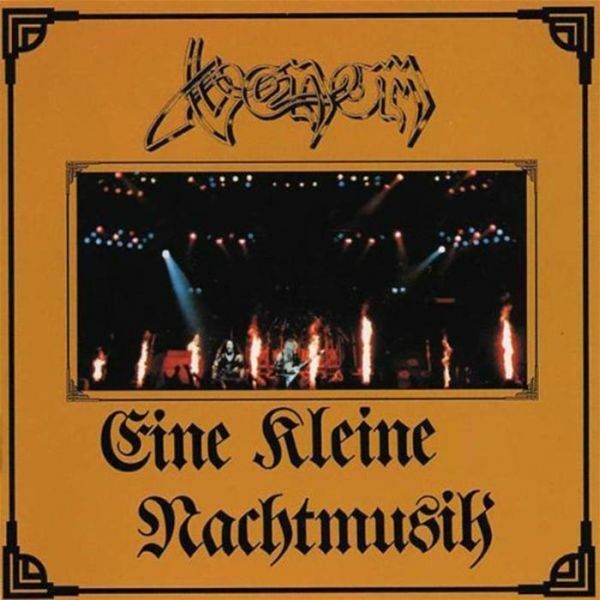 VENOM - EINE KLEINE NACHTMUSIK RE-ISSUE (DIGI) | Online Shop | Wizard LTD. Album: "EINE KLEINE NACHTMUSIK RE-ISSUE (DIGI)"
Eine Kleine Nachtmusik is a live album released by English heavy metal band Venom in 1986. It contains partial recordings of two different concerts with two different setlists. The first disc contains a show recorded at Hammersmith Odeon in London on 8 October 1985 and the second disc recorded at The Ritz in New York City on 4 and 5 April 1986. The title Eine Kleine Nachtmusik is German for "A Little Night Music". The title is taken from Mozart&apos;s piece of the same name.